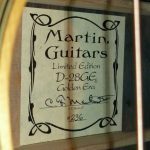 The Martin Golden Era models revisit the specs that made the pre-war Martin “Golden Era” Guitars so special, from bracing to materials and also add a few minor modern-day enhancements. 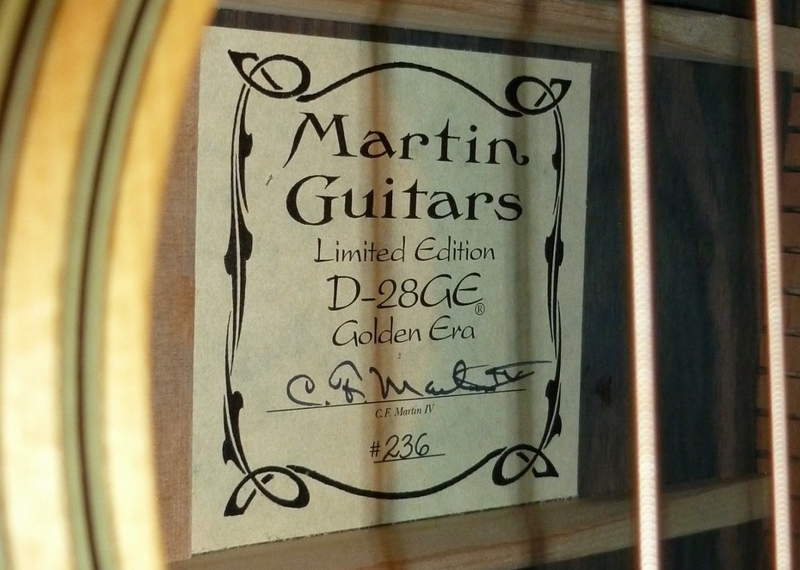 We sold this Martin D-28GE Golden Era approximately 10 years ago and we have now taken it back into stock via a trade in. 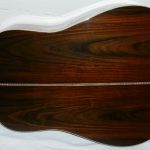 We are delighted to have it back as it is almost impossible to find a second hand D-28 Brazilian Rosewood Golden Era for sale these days. 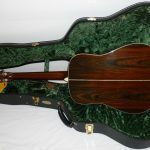 The new price for a Golden Era is up around the £10,000 mark but Martin are not making them any more, owing to the rarity of Brazilian Rosewood. 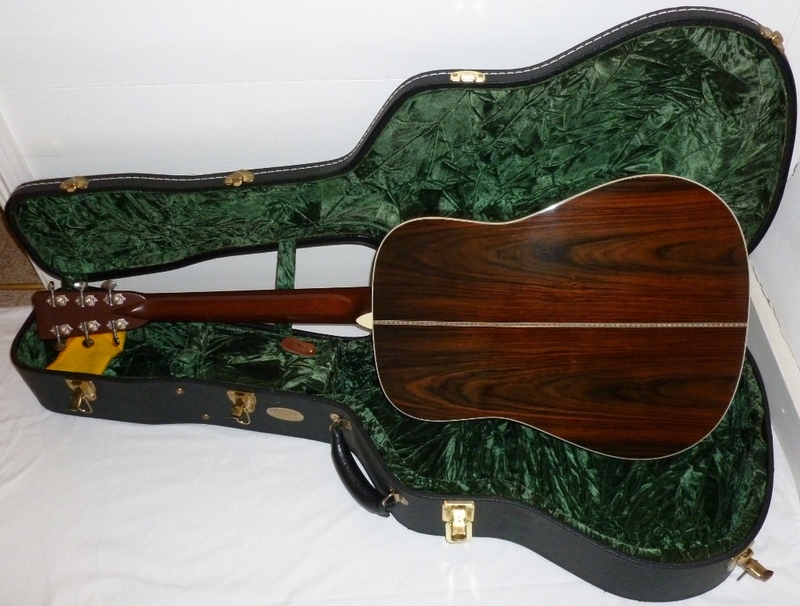 This is still probably the best acoustic guitar we have ever offered for sale in 30 years of trading. They don’t make them like they used to? Well this one they did! 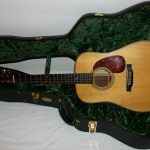 Made as in the “Golden Era” of Martin Guitars, with Adirondack spruce top, and rare (beautifully figured) Brazilian Rosewood back and sides. 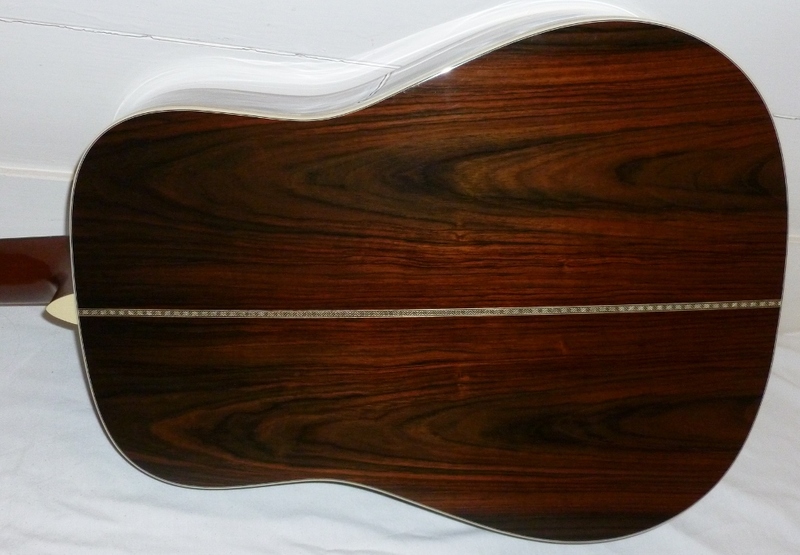 It also features scalloped forward shifted bracing of that period. 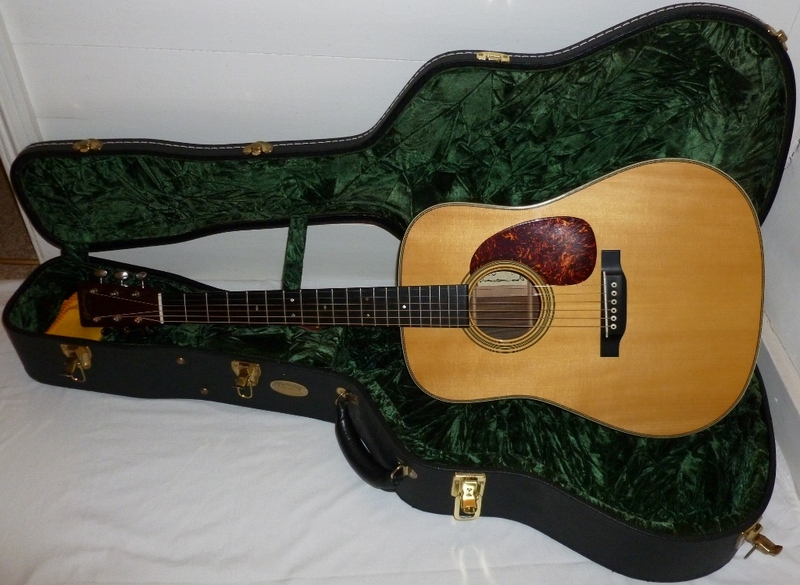 This Guitar is complete with a top of the range Martin Deluxe Acoustic Hard Case. 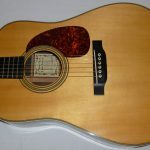 This guitar features all the advantages of modern guitar building such as an adjustable truss rod but still is in the main, hand-crafted meaning you get the best of both worlds. 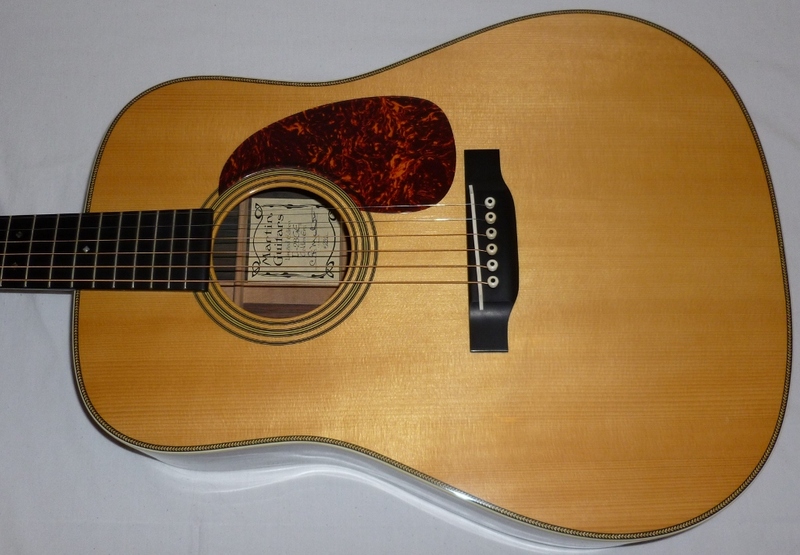 The sound is wonderful and will continue to improve with age. 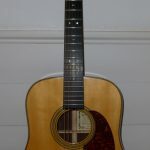 A real vintage Golden Era 1930/40’s Martin D-28 would cost between £20,000 to £40,000 making this rare Limited Edition reissue is a superb investment which will only increase in value. Contact us on 01872 271701, email us here or enquire in store for more details.